In our study notes and our free email newsletters we prepare candidates precisely for this kind of test taking to turn the morning section into a key advantage. Do you Really Know what "Essay" Means for the Morning Section? What we've found in working with these candidates is that the fear of the morning essay section is often accompanied by an ignorance about exactly how the morning section is formatted. In fact, many test takers study the Level 3 curriculum for weeks or even months without actually taking a look at what these morning "essay" problems actually look like. By reviewing the types of questions ahead of time you can prime your brain to remember concepts in the way they will be tested and you can get comfortable with the new format. To address this problem, we've decided to break down how the questions are asked and the actual templatized format of responses to give you a clearer picture of what's expected. It seems basic, but it's important to come to realize that the morning section isn't about essays at all, it's just a series of very short, highly stylized constructed response questions. IPS questions are core to the exam. You will have one of these questions for both an Individual and an Institutional investor. They invariably start with a long description of a person's situation, including their age, length to retirement, income, savings, and unique situations (such as a daughter going to college). After reading the passage you will be presented with a set of questions. The first two questions are usually identical and ask you to list the return objectives and then calculate the required return (pre or post tax). You would write out your answers on blank paper. Note, other short answer questions that are not related to an IPS calculation also have a short passage, usually with an exhibit or table with information, that precedes the question. Notice the bolded command words. These give you instructions on what is expected on the question. Follow them! Each constructed response question also gives you a time to complete. This tells you how many points the question is worth (1 minute = 1 point), and also the level of depth you need to go into to get full points. Don't waste your exam time on 2 minute problems you don't know the answer too. If it says list one reason, then list one reason. The graders are instructed only to look at the first one and you'll just be wasting time adding more. Speaking of time, time management is the single most commonly cited difficulty factor for the AM section. We talk extensively about this in another post. But if you don't know an answer circle the question and come back to them at the end. Keep Moving! 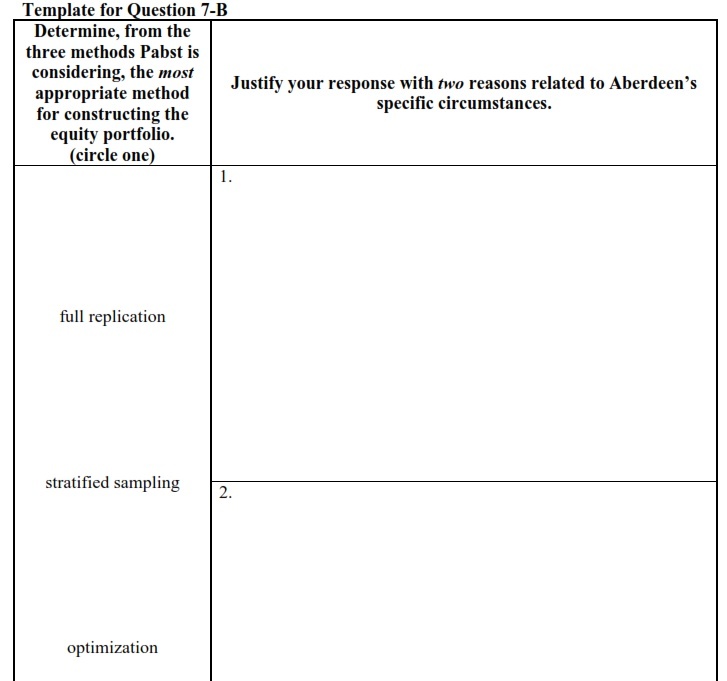 Template questions usually ask you to identify something or select out of a set of choices and then justify your response. This can take many different forms. 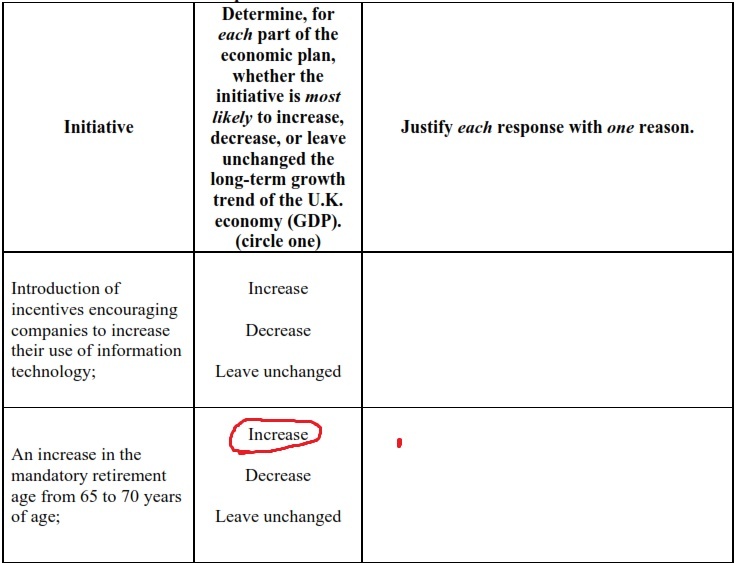 One common type of question you will see will ask you to identify what will happen to some variable (e.g. liquidity, long term growth) if some other factor changes (like income or employment levels). Another common question could ask you to select whether the investor has: "above average, average, or below average risk tolerance" and give 2--3 reasons why you selected your response. You will answer these types of questions in a template that they have provided on a separate page. Make sure you actually use the template or your responses won't be worth any points. Again, note that there are detailed instructions embedded in the question with bolded and italicized words. They may even have a guidance note on how to answer or what details to ignore. The morning section is a challenging piece of the Level 3 exam. But it isn't about essays. It's about intelligently attacking problems in small concrete sub-sections. Know the time allotted to each component. Make sure you follow instructions closely. Get familiar with the different types of template responses. Remember graders only grade one question so you can absolutely recycle knowledge if answers from one problem are relevant to another problem. Above all, keep moving!